Commercial grade, Gravity fed automatic tilting Auto Tilt market Umbrella. 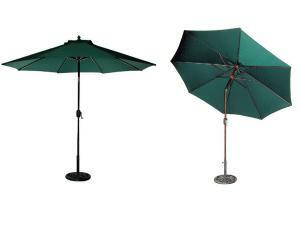 9' Market Umbrellas Patio Umbrellas with tilt feature. Aluminum Market Umbrellas on sale. Commercial grade Bistro Patio Umbrellas with tilting 6.5 foot arc and antique bronze frames.